Back in 2014, I got very into a little game called The Fall. It was one of those indie releases that came out of nowhere, somehow rose above the glut of games on Steam, and gained a small but fervent fan base. It’s easy to see why. 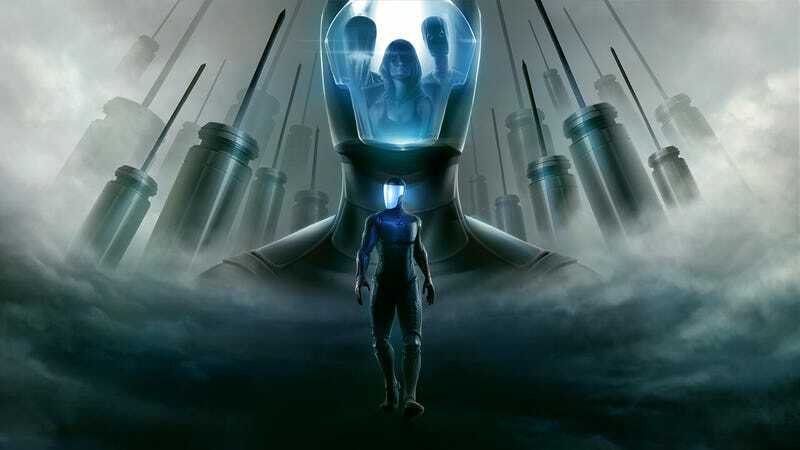 While it dealt with some pretty clichéd sci-fi themes regarding artificial intelligence and the nature of consciousness, the premise was really intriguing. You play as the AI inside the high-tech combat suit of a soldier who falls (there it is) from space and crashes on an alien planet. The human you’re meant to sustain at all costs is unconscious, so you take control of the suit and set out to revive them. From there, it turns into an adventure in the mold of Out Of This World or Limbo, with puzzles and the occasional gun fight breaking up the story, which is delivered by great voice acting and simple but effective visuals. After a few hours, you reach a big plot twist, the game’s starting to really heat up, and… it cuts to the words “To Be Continued.” Yeah, apparently The Fall was going to be a trilogy, but back when this slice of shadow-drenched sci-fi first dropped, there was no indication at all of when we might get to see more of A.R.I.D.’s story. I bounced off of Atlus’ time-travel-themed RPG Radiant Historia back when it was originally released on DS in 2011, so I’ve been waiting on the arrival of its 3DS re-release, Perfect Chronology, with a mixture of anticipation and mild anxiety. The game’s hook—you bounce back and forth between two divergent timelines, changing history for the better and fending off the actions of an unseen, evil chrononaut—is exactly my jam, but I found the combat a little clunky at the time and some of the quest designs a little too obtuse. I’m honestly not sure if Chronology actually fixes any of that stuff—its major changes appear to be the addition of a great voice track for the dialogue and a series of side quests that drive the always welcome Quantum Leap parallels even further home—or if the seven years since my first efforts to play it have just aged me into someone willing to put up with some inconveniences in order to enjoy the game’s intrigue-heavy plot. I do know that it’s got its hooks in me, though, courtesy of a shockingly beefy—as in, six or seven hours—demo released for free last week.